Scientists are more and more requested to communicate their research at diverse occasions and events, such as researchers’ nights and children’s universities, or as an integral part of research and development projects. 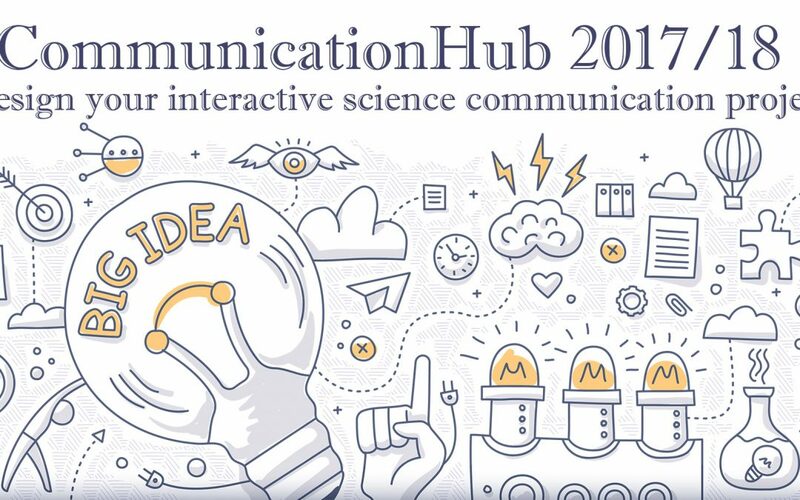 Hands-on science communication offers a set of highly effective methods to address and engage different audiences and facilitate research in an interactive, accessible and inspiring way. If you are curious to move away from classic presentation formats, the CommunicationsHub is the perfect place for you! First you will get to know theoretical concepts and practical methods of interactive science communication. Then you are going to design your own science communication activity with the aim of facilitating your research topic to a broad audience. On the occasion of the Lange Nacht der Forschung (LNdF) in April 2018 you will have the unique opportunity to test your activity in practice! The Hub is aimed at students and graduates of all subjects and disciplines. Interdisciplinary teams of 2-4 people are invited to apply for the workshops. The participation is free of charge! You are curious, but still looking for inspiration and/or team colleagues? Come to our information event on November 15th, 2017. Get to know the workshop leaders, try out different methods and meet like-minded people! Please register until November 10th via email to Sarah Funk (funk@science-center-net.at). You already put your team together and have a topic in mind? Very good! Send your team application (short description of your project idea and short CVs of all team members) to funk@science-center-net.at. 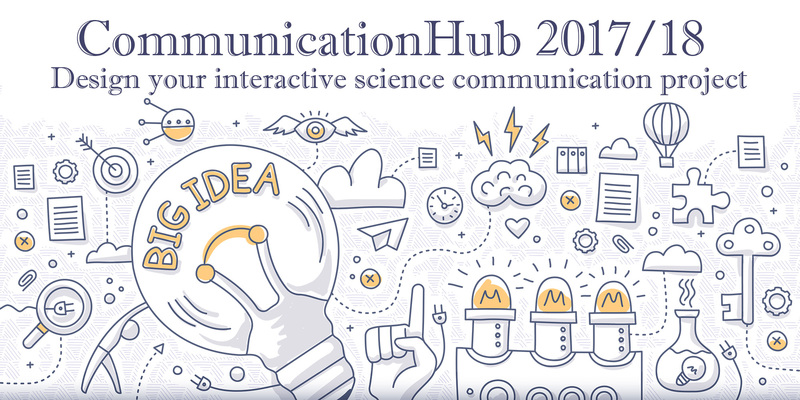 The teams who will be able to participate in the CommunicationsHub 2017 will be selected on December 5th, 2017. ScienceCenter-Network is a non-profit association specialised in Hands-on engagement with sciences and technology. Our expertise includes concept development and implementation of science center activities (exhibitions, workshops, events, school projects, diascussion games,…) as well as research, consultancy, teaching and training. We also coordinate an Austrian-wide network of >170 partners.